Court bookings: July & August. Every day from 9 am to 12 pm. Call 705-767-3360. 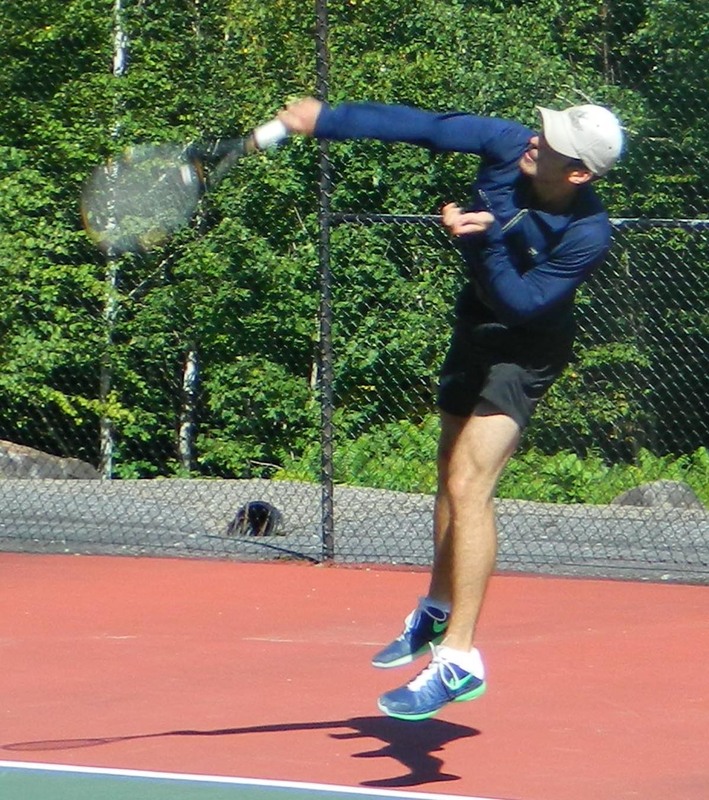 The Lake of Bays Tennis Club is a private club with membership open to cottagers with property on Lake of Bays. 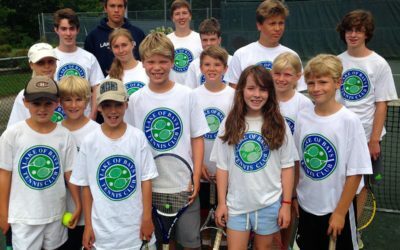 The club has 6 hard courts and offers weekly round robins, kids’ tennis camps, tournaments and socials. 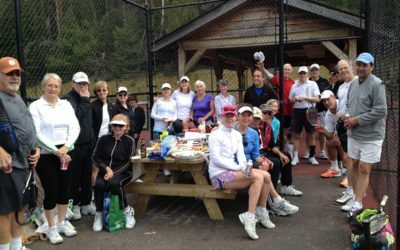 The club is located on Glenmount Road, Lake of Bays and is open from May to October. Weekly Round Robins are open to all adult members and their guests. Ladies Day and Men’s Day are drop in events. Monday (courts 1–6) and Thursday (courts 4–6) from 9:00 am to 12:00 pm. 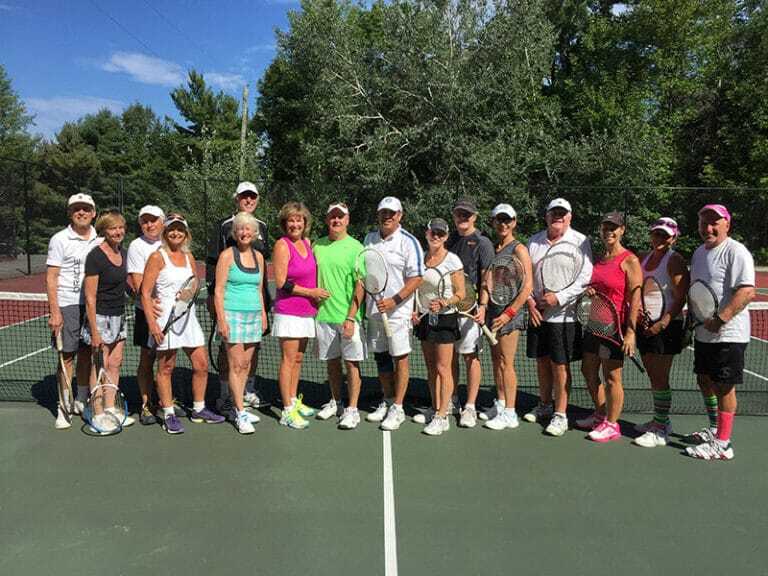 Saturday (courts 4–6) from 8:00 am to 11:00 am. 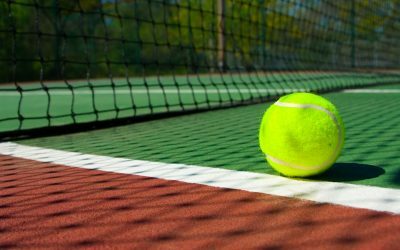 Tuesday (courts 3–6) and Friday (courts 4–6) from 8:30 am to 10:30 am. Please contact John Puffer at johngpuffer@gmail.com to join in. Monday through Friday from 1:00 pm to 4:00 pm on all courts. Please submit inquiries for summer job opportunities to Lisa Schrenk-Forestell at schrenk.forestell@gmail.com (junior/teen) or Michelle Meneley at mmeneley@icloud.com (jelly beans). Our Annual General Meeting takes place on Saturday June 30 at 11:30 am. Please join us after the Blind Date tournament to learn more about club events, financials and news.